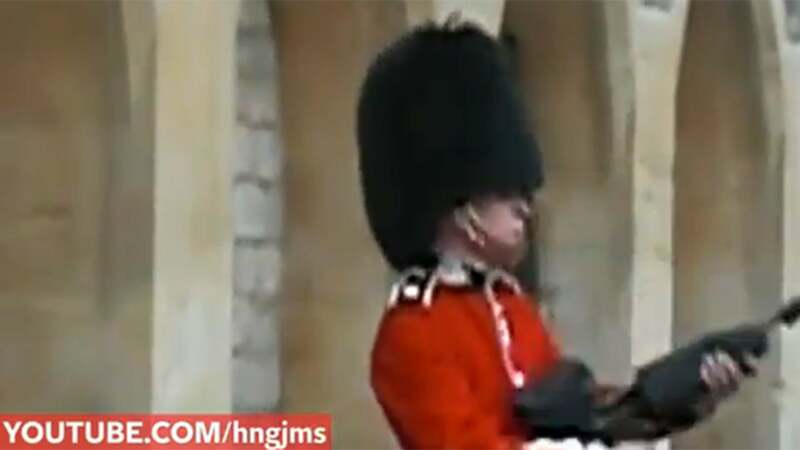 Another day, another member of the Queen’s Guard getting angry at an annoying tourist. With their distinctive red coats and black hats, the troops are often the ultimate attraction for tourists to the UK, their debonair attire not really making them appear that frightening. 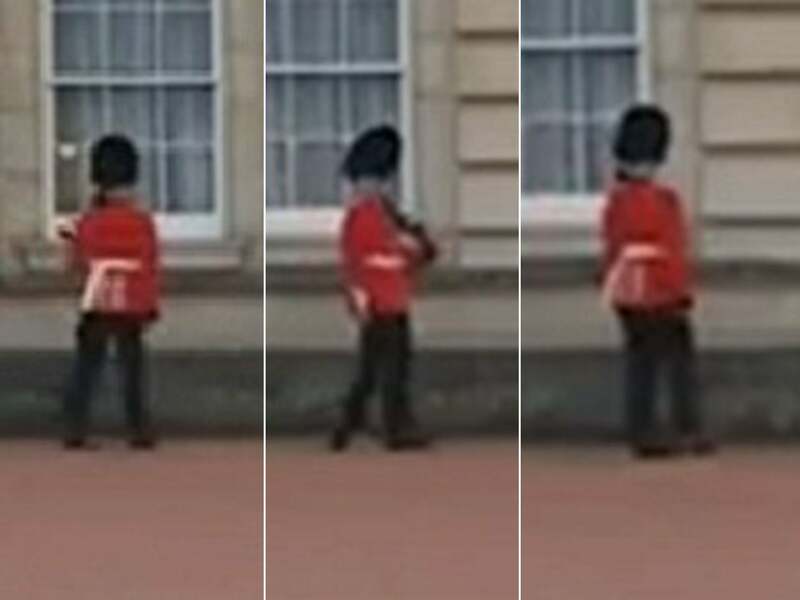 Yet the Queen’s Guard have begun to fight back at tourists not taking them seriously: just a few weeks after footage emerged of a photographer being barged into by troops as he stood in their way, a lone Guardsman has now scared off a pestering tourist in a video that will hopefully go a long way in ensuring Her Majesty’s body guards get a bit more respect. 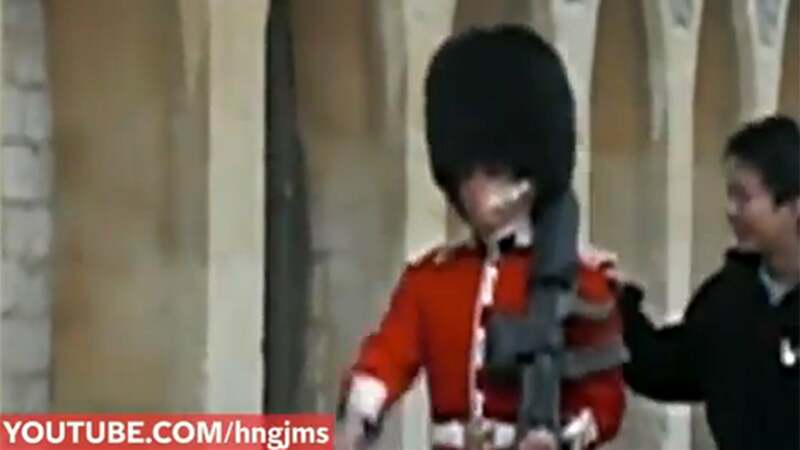 The video, which reportedly was filmed at Windsor Castle, shows a tourist mimicking the march of a member of the Queen’s Guard. 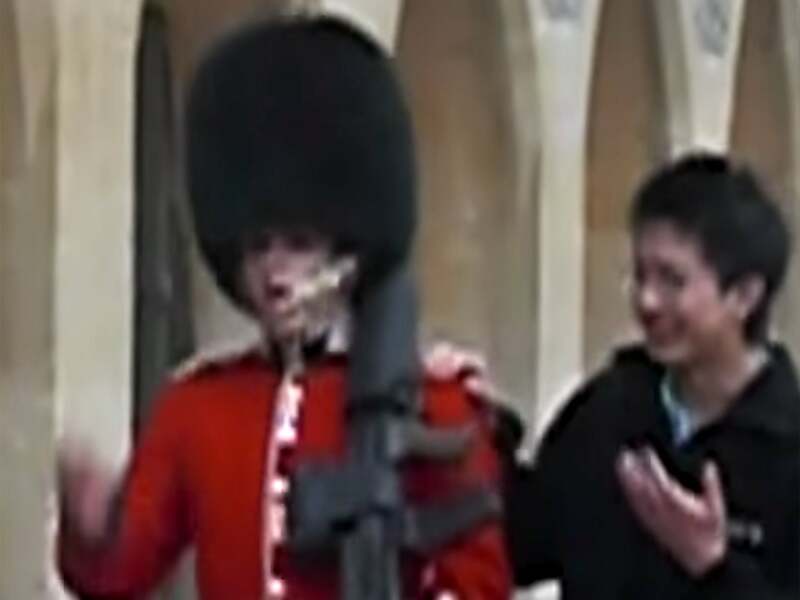 Someone off camera can be heard joking that “his gun is jammed”, implying that the tourist had no reason to worry that he was mocking a man with a huge gun. He even stares the Queen’s Guard straight in the face. 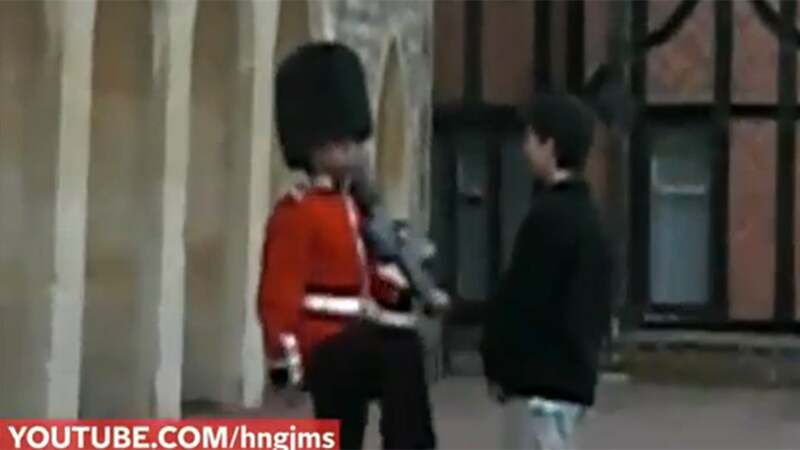 The tourist makes the ultimate mistake of laying a hand on the guard’s shoulder. Enough is enough: the gun is drawn. The pompous air of the tourist quickly turns to panic as he runs away. Chalk that as another victory for the Queen’s Guard over the ignorant tourist. 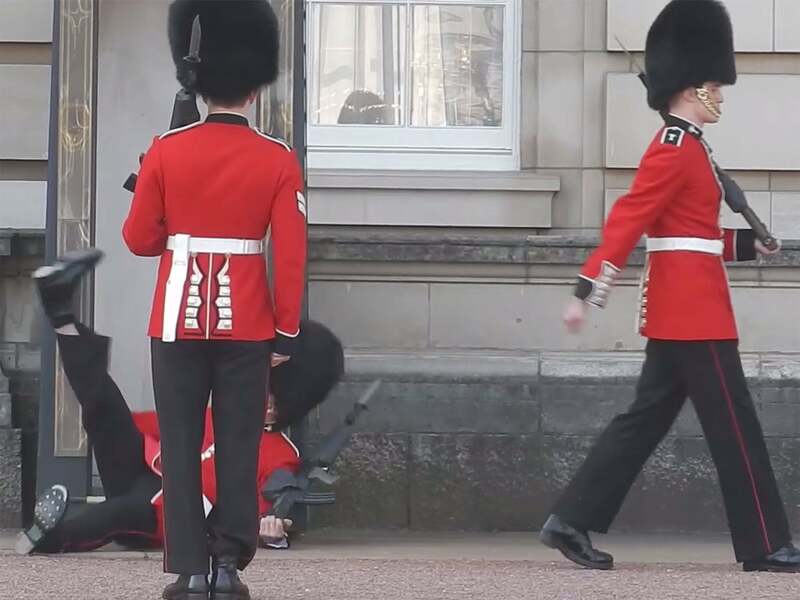 Not that Britain’s fine soldiers are always in such an irksome mood: a video last year showed a Grenadier guard spinning around as he walked outside Buckingham Palace. The guard mixed up his normal strut, at times marching in slow motion and even with a slight jig. The Queen’s Guard is the name given to soldiers charged with guarding the official royal residences. While the Queen has a number of homes, the guards are only mounted at her official London residencies (Buckingham Palace and St James’s Palace), as well as Windsor and Holyroodhouse in Scotland.